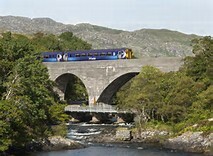 There was an unexpected 0.5% fall in journeys on Britain’s railways in the final three months of the accounting year between January and March 2016 although growth in earlier quarters resulted in passenger numbers reaching 1,729 million (+0.8%) in the financial year. The statistic can be explained by a reduction in commuter journeys in London and the South East where there were 1.9% fewer passengers. The longer distance InterCity operators recorded an average increase of 4.3% and regional operators reported a 2.5% increase. Despite fewer numbers fare box income grew by 3.7% in the quarter which meant that for the year income amounted £9.44 billion an increase of £230 million. Lower growth can be attributed to product and market issues. The lack of service reliability caused by traincrew absenteeism and strike action in response to the introduction of driver only operation can be seen to have caused adjacent franchises such as South West Trains to suffer an annual user decline of 3.2%. There are also indicators that passengers will no longer tolerate a combination of fare increases and poor product issues such as reliability and journey comfort. Although a large fleet expansion is underway with more than 6,000 new vehicles either on order or in the course of delivery there will be scrutiny about the journey experience. The metro vehicle concept represented by new Crossrail and Thameslink rolling stock delivers a product with more standing room, a decision that reflects capacity needs through the core section of both routes but it is likely passengers will not have a seat for journeys that exceed 20 minutes, the current benchmark. The InterCity Express Programme trainsets have also been designed to maximise capacity but there is concern that the interiors will not shape up well compared to the Mark 3 vehicles provided in High Speed Train formations that they will replace. This could matter in the discretionary market where family groups will compare the value and quality of a rail journey to the like of a theme park visit. There are high hopes that the new Northern Connect services that will link major conurbations in the North of England will transform current journeys and replicate what has been achieved by the Trans Pennine Express network. 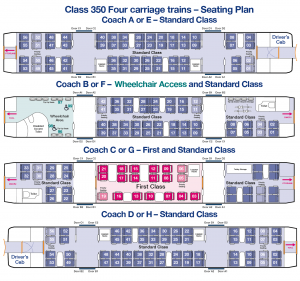 The product though is less ambitious as there will not be reservations, nor First Class seats with free refreshments. For TPE there is the improvement offered by a return to locomotive hauled coaches which will allow an easier response to crowded services. With Retail Price Inflation running at 2.9% and an annual growth in take-home pay averaging 1.7% passengers expect more for their money as fare rises cost more in real terms and the annual fares increase in January can be expected to provoke adverse passenger feedback. 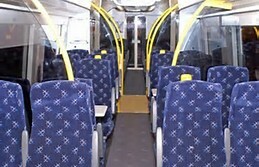 More examples of product improvement are needed as in Scotland where in additional to opening new routes the interior design of rolling stock has been upgraded with seating positioned so that the view is improved and collaboration with Network Rail to cut back vegetation to reveal the landscape on scenic routes. FCP has long experience in judging the impact of service improvement on revenue and has the depth of knowledge to be curious about new trends that indicate lower levels of growth. The starting point is the product match with the market.